In the midst of her success, Jakki Prince is bidding a sweet goodbye to her Guelph-based bakery, Sweet Temptations, planning to sell the business and her food truck. When asked why, she referenced Jerry Seinfeld’s 90’s hit sitcom, “Seinfeld.” “People used to ask him ‘why did it end?’ because it ended at peak popularity. He said, ‘Go out on a high note,’” said Prince. And that’s exactly what she is doing. Prince has owned and operated her bakery for nine years, watching it flourish from a small-scale, event-based operation into the successful storefront it is now, even opening one of Guelph’s first food trucks. But with the lease on her store about to expire, she decided it was time to move on. For Prince, this was a difficult revelation. “As an entrepreneur, you’re emotionally attached. This has been my life for the better part of 10 years,” she said. The decision to sell her business stemmed from a conversation she had with a friend, who told Prince the business serves a niche and has a place in the community that’s bigger than her. Although she has already met with three possible buyers, she is welcoming offers on Sweet Temptations until the end of July, and plans to stay involved with the business until November. 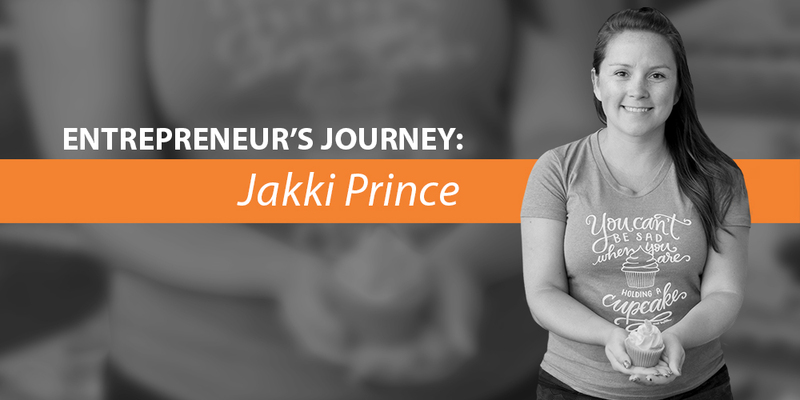 Because Prince values the community-centric aspect of her company, it makes sense that her next role is to be a part-time contract mentor at the University of Guelph, helping new entrepreneurs grows their businesses. Prince said she would have taken the position even if she was not selling the business and has already been a mentor to three student businesses over the summer. “That’s been really rewarding, and kind of a nice transition, because I’m sure I’ll be sad to let go of the entrepreneurial vibe, and it will help me stay connected with that,” she said. Despite her success, however, it hasn’t always been easy. “One of the biggest challenges is remaining self-disciplined and driven to continue. As an entrepreneur, the buck stops with you. It’s hard to remain motivated in the face of much adversity,” she said. When Prince was planning on opening her food truck, she intended to partner with another business. They backed out at the last minute, and she had to open it on her own, costing her significantly more than planned. “Working through that taught me that you can’t count all your chickens until they hatch. At the time I thought ‘this is insurmountable, we’re going to have to shut down.’ Not being completely overwhelmed by that took a lot of effort. But it added massive value to our business and, ultimately, the hard work paid off,” she said. And while she is still attached to the business, Prince is excited to see where the new owner will take it.